Instead of needing SMS to get a code, there are apps that generate them themselves. 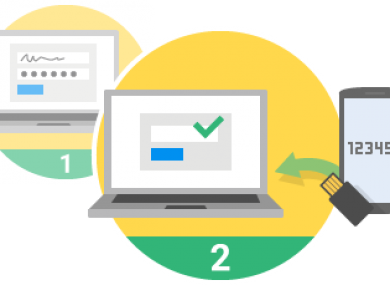 WHEN IT COMES to keeping your accounts safe, two-step verification is one of the easiest way to strengthen your security. For those who don’t know what it is, it adds an extra step when logging in to an account. On top of your username and password, you must also enter in a random 6-8 digit code, usually sent by SMS, before it’s accepted. We’ve covered the topic before and how it’s available for all the major services and apps out there, but if you don’t want to rely on SMS, you can always download an app that generates a code instead. Many of them don’t require an internet connection, instead generating the codes within the app itself. This is handy if you don’t have any reception on your phone. There are a few to choose from, but a good place to start would be Authy, which is available on iOS, Android, Windows and Mac. It supports a large number of apps, and can be backed up and accessed from both desktop and smartphone. More importantly, the service is PIN-protected so even if someone manages to gain access to your phone or PC, they won’t be able to access your account codes. Another recommended app would be Google Authenticator (iOS and Android), which generates its own seven-digit code every minute. While it’s easy to use, the app is very basic, generating only the one code for all apps and it only works by connecting it to your Google account. You could also go for Toopher (iOS and Android) which shares more similarities with Authy than Google Authenticator. On top of offering codes, you can choose to bypass it by setting up trusted locations, meaning you will get login requests if someone tries accessing it somewhere different. And then there’s Authenticator Plus (iOS and Android) which offers similar features but allows you to unlock using your fingerprint (on Marshmallow devices) and search codes from Spotlight on iOS. Which one you use will depend on the type of apps you use daily and whether you’re using a phone or tablet. If you share a tablet regularly, it might be more trouble than its worth, but those with a smartphone have no reason not to activate it. It’s just a matter of whether you go for SMS (those with guaranteed reception) or an app (those with a guaranteed internet connection). Email “What apps allow you to activate two-step verification?”. Feedback on “What apps allow you to activate two-step verification?”.